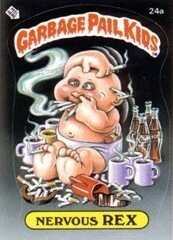 Garbage Pail Kids. . Wallpaper and background images in the os 80s club tagged: the 80's 80's fad garbage pail kids cabbage patch kids.